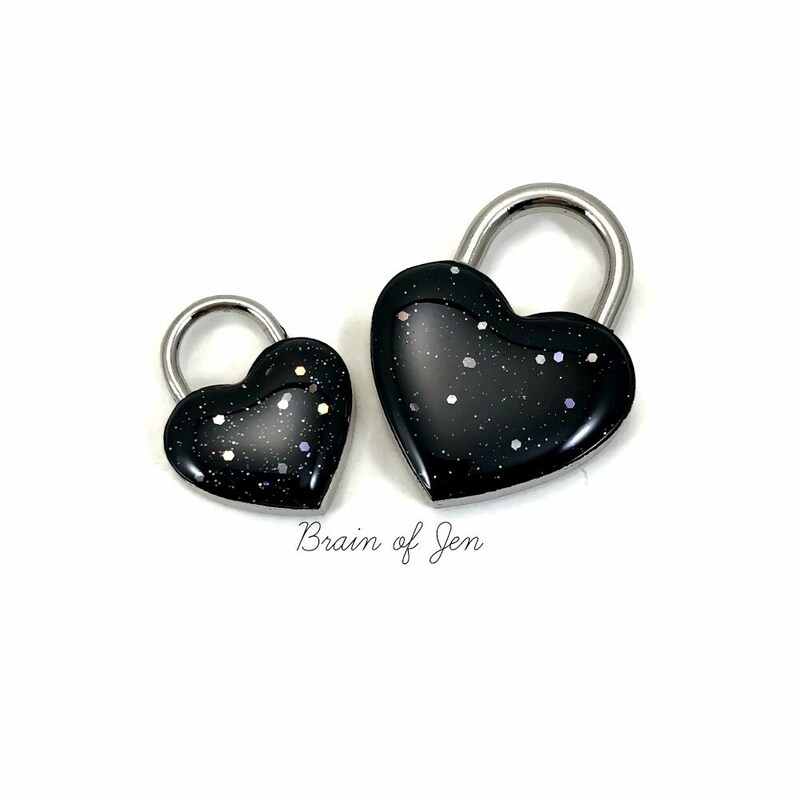 This gorgeous jet black and silver working padlock is the perfect finishing touch for your submissive's collar. 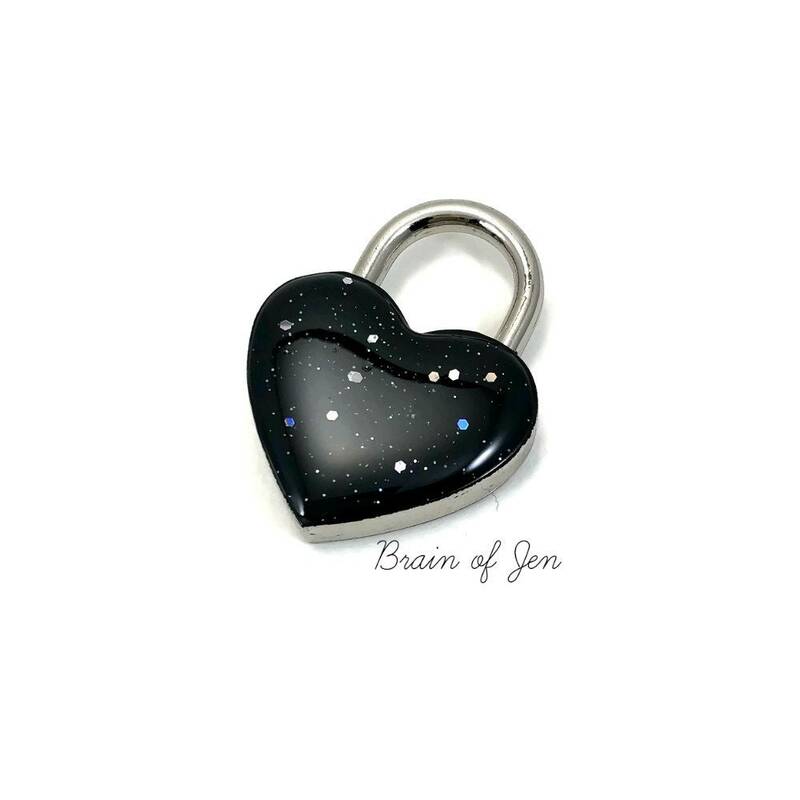 The mesmerizing dark hue is accented with both fine and ultra-fine glitter, giving it the effect of twinkling stars shining in the midnight sky. If nickel sensitivities are an issue, just let me know and I'd be happy to add a coat of clear enamel to the back of the lock as well! 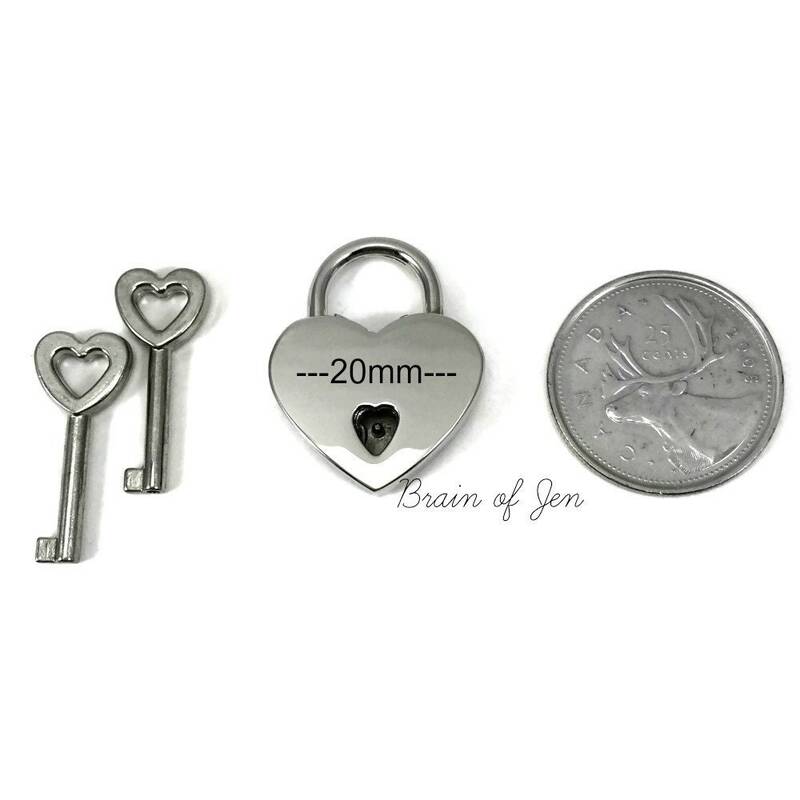 Each lock comes with two keys, and is available in two sizes 20 mm (great for cuffs) and 30 mm (perfect for collars). 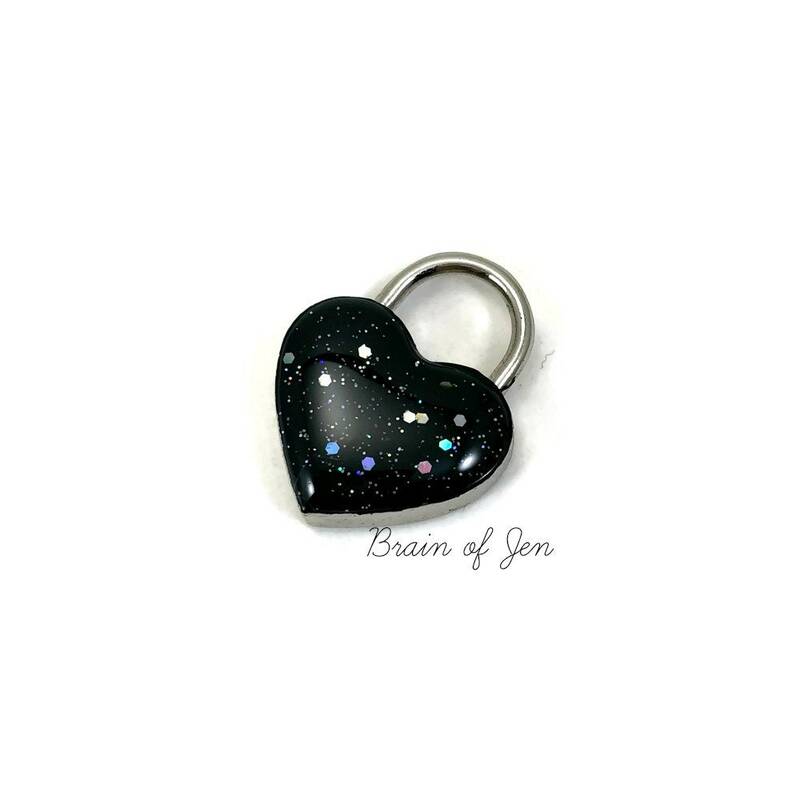 They can be purchased separately, or get both and save 10%! 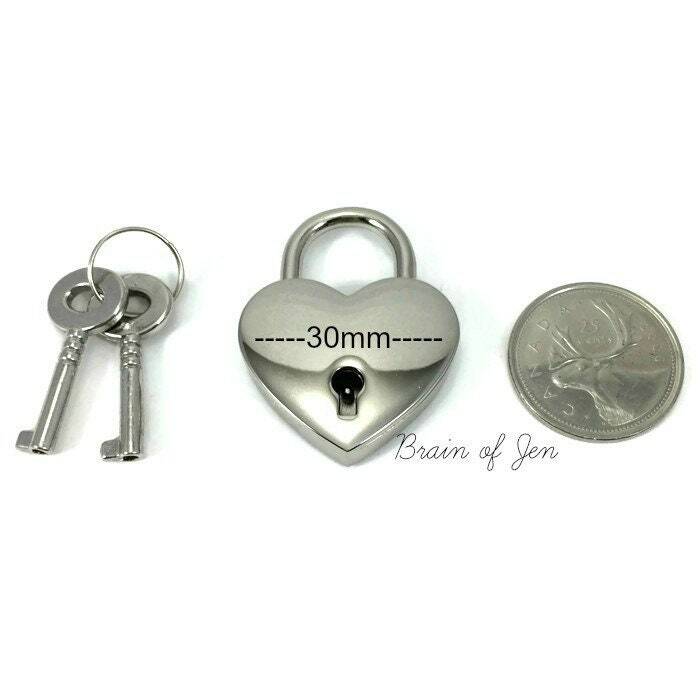 Looking for a collar to go with this lock? You can find the set here: https://www.etsy.com/listing/165437965/chainmail-slave-collar-black-and-silver? Beautifully crafted, absolutely love it. Seller communicated with me very well when I had questions about my purchase. Definitely would purchase from again. I love it! She even put enamel on both sides to keep me from breaking out from my allergy! Great art work done and a seemingly very sturdy piece. She's happy, I'm happy. Buy it. Buy it now.